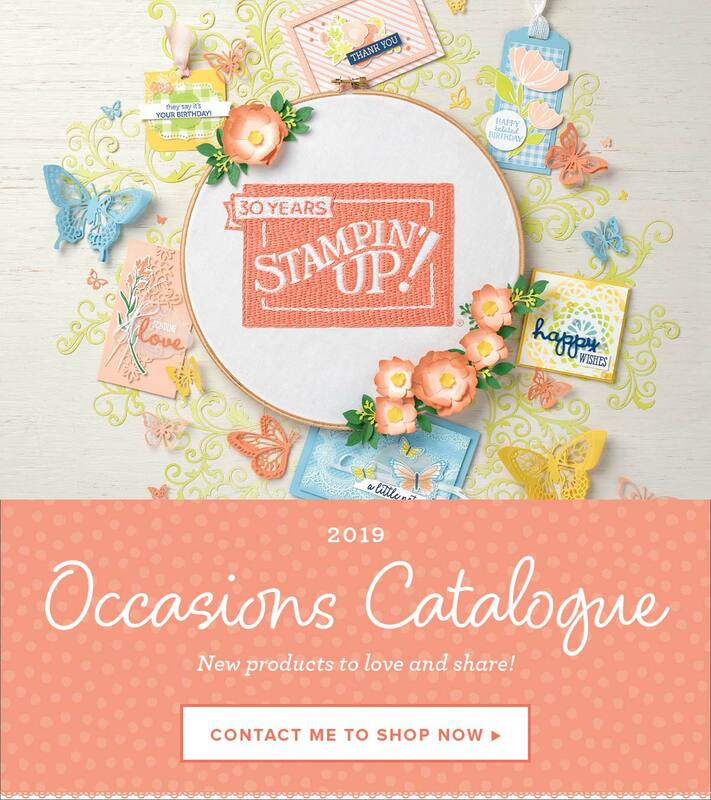 Stampin’ Up!® Demonstrator Karen Robinson | Christmas starts today!! Okay, that might have been just a little tongue-in-cheek, but Stampin’ Up! has released the Carols of Christmas stamp set and coordinating Card Front Builder Thinlits, which can be purchased as a bundle for a 10% discount. Demonstrators got to order this set last month and there are loads of gorgeous samples out there to inspire your creativity, check out my Holiday Catalogue 2017 board on Pinterest for just a few. The Carols of Christmas Bundle is part of a larger suite of coordinating products in the upcoming Holiday Catalogue and even though customers have to wait until September to order these, there are lots of options in the Annual Catalogue that coordinate beautifully as well. I only used currently available products for my samples, for more information about them, look here and here. Stampin’ Up! has also released a video sharing a few more ideas and samples of how to use these gorgeous products, make sure you take a look for even more inspiration. I hope you liked this preview of this lovely bundle and even though it’s designed for Christmas I think the thinlits can be used for much more. I’ll be sharing some non seasonal ideas using them this month, I hope you’ll come back and see.